Tracy begins his work with a brush but will switch to a palette knife as the work progresses. 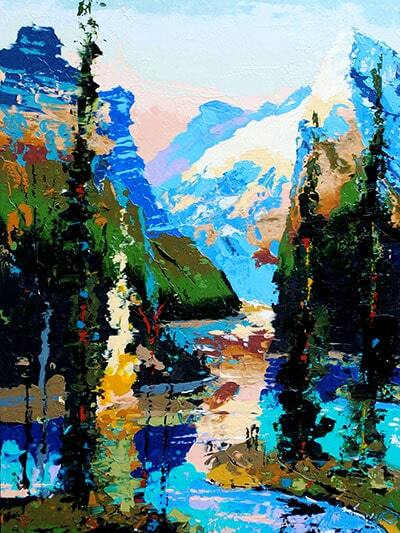 He is drawn to the palette knife because of the unpredictable way it transfers paint to the canvas. 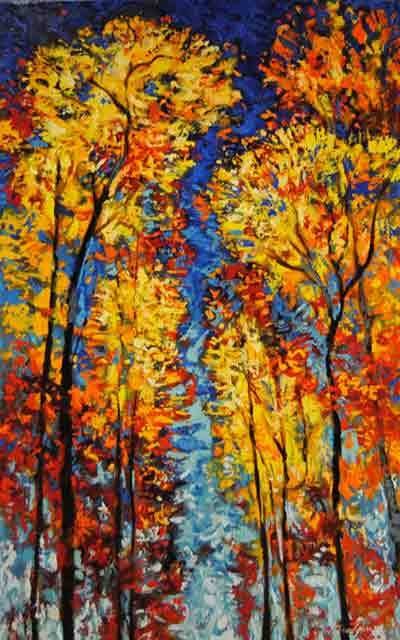 His distinct style is impressionistic, textural and leans towards the abstract. 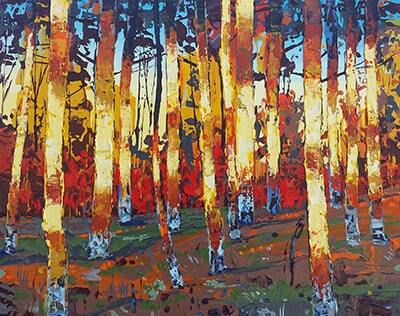 His love of color is obvious in his painting as he strives to incorporate a brilliant palette within each work. He creates art that emanates a sense of love and endearment for the planet and hopes to present a quality communication about the beauty that naturally surrounds us. Inspired by the cultural revolution of the late 60?s and early 70’s Steve relocated to New York City where inspired by the atmosphere he enrolled in the School of Visual Arts in 1972. Steve continued his studies at many respected art schools and is a graduate of the American Art Institute. He perfected his talents through work with various studios in San Francisco, New York and Colorado. well as conducting several workshops throughout the United States and Scotland. Today, Steve lives in Southwest Ontario where he donates his time to public art endeavors in the area. He continues to exhibit and teach throughout the United States and Canada.